A superb story greatly enhanced by the perfect narrative that made you feel like you were there. It is clear why Hemingway's books are regarded as classics. 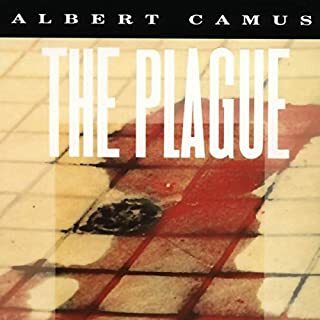 Having started reading this book when we were staying on Isola Pescatori (Island of the Fishermen) on Lago Maggiore I was keen to listen to it. I loved hearing about the same places in the book that we had visited in this historical setting. I did however tire of Katherine's frequent attempts at not annoying her partner and they did seem too lovey dovey continually discussing that they loved each other. I guess this is the style of a great classic of that time. 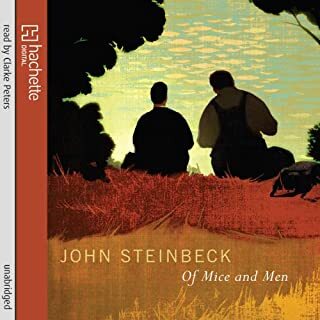 It is a real classic and well worth a read. Not bad. Not familiar with Hemingway's other work. Quite melodramatic in parts which is strange given the short sentences. A great book damaged by poor reading. The monotonous narration leaves this lifeless. Conversations are particularly dead. A disappointment. The experience has taught me to listen to the preview of each download now. For many chapters I couldn't get over the impression that this was a take-off of Hemmingway's style. The 'Janet and John' style, as it sounds to UK listeners (of a certain age). 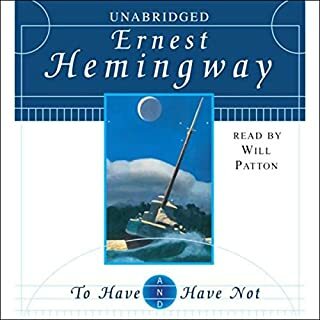 But, Hemmingway builds his characters from conversation - the way they talk - and this narrator almost converts the book to a play at some points. 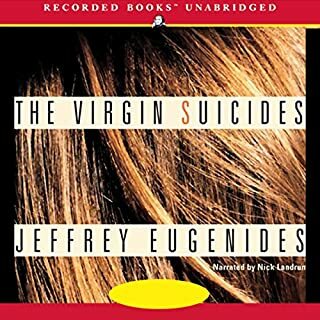 I loved the conversation (soliloquy, since the narrator is talking to himself) where he asks himself 'what if his lover/girlfriend dies (in childbirth)'. I can't imagine how it would look on a page - but played by this actor... really something. 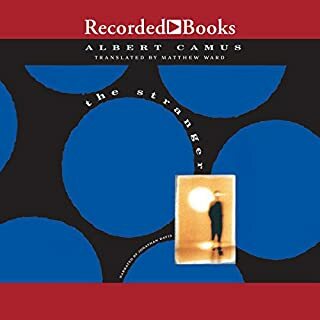 Would you consider the audio edition of A Farewell to Arms to be better than the print version? 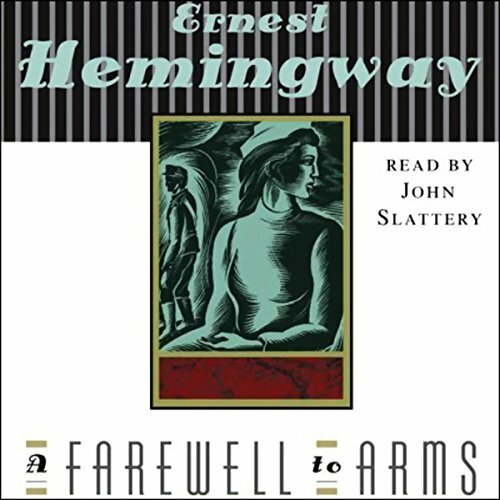 John Slattery does a fine job narrating Hemingway's classic novel. 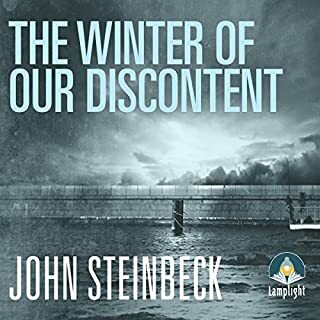 He gets the balance between the hard-bitten laconic tone of the narrative, from the terse war reflections to the suppressed pain at the end. He negotiates the accents (American, Italian, English, Scottish, Swiss) convincingly. 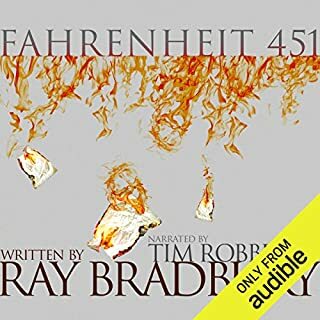 I read the text alongside the audio and I thought Slattery's reading brought out tones and inflections I might have missed on the page. The narrator, Frederic Henry, dominates the novel. It's his take on the events he recounts. Which character – as performed by John Slattery – was your favourite? In addition to Henry's narrative voice, I liked the way Slattery realised the Italian characters. He did not resort to the stereotype caricatures that an inferior reader might have attempted in order to play to the gallery. It is too dense a work for a single sitting. 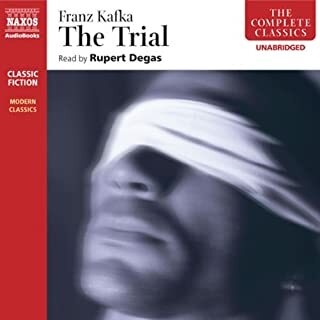 The reading makes the listener want to sit and reflect on scenes and chapters. One of Hemingway's enduring qualities is that he writes on the page the way his narrators would speak. There are several good readings available. William Hurt's reading of The Sun Also Rises is top quality. Stacy Keach's readings of the short stories are excellent. It's a pity that Alexander Scourby's readings of the stories appear to be out of the catalogue, but you can still enjoy his reading of The Great Gatsby, which is masterly. John Slattery's reading of A Farewell To Arms is in the same league. 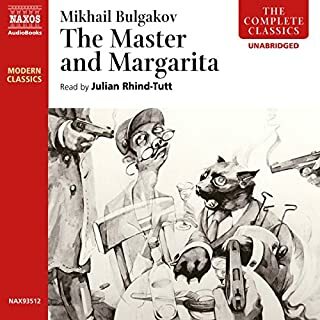 It's so wonderful to listen to this novel. You hear every word, every tone - when you read you can miss a lot. John Slattery gives life to the - on the surface - subdued lovestory. On my Top Ten! 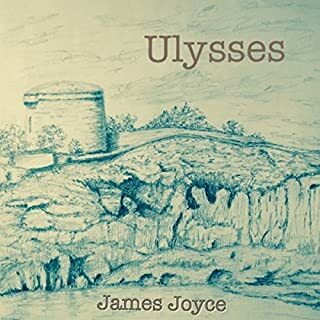 John Slattery, who I like very much, reads this book marvellously. It seems like Hemingway wrote no sentence of more than 10 words. In the end the effect is quite hypnotic I have even found myself started to speak in this staccato way. I knew nothing of Hemingway before I read this book. However, I had seen a group photograph of Chinese Ernest Hemingway look-a-likes. 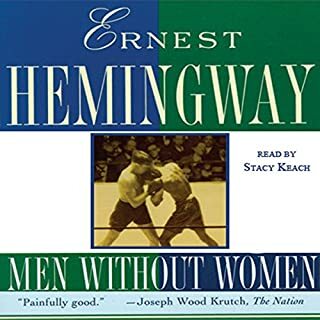 I thought Hemingway a macho writer. I thought I wouldn’t like the book. I thought it would be about the heroics of war. Initially Catherine and the protagonist annoyed me. Their conversations seemed banal. In the end I thought her brave. I thought him brave, I started to admire him. Hemingway felt it necessary, towards the end, to make it clear that he was against war. He tells the story of the ants on the log that was put into the fire. Their world was doomed. I think Hemingway betrayed himself there. The book would be stronger without the ant anecdote. Don’t give up in this book. I started off being very bored but ended up being quite moved. 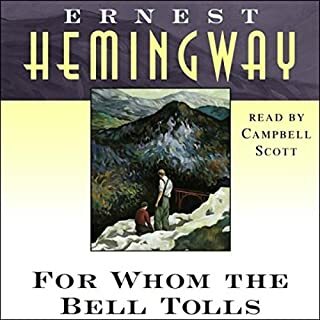 I’m even considering listing to some more Hemingway. Not my favourite WWI novel. John Slattery gives a great performance and draws the listener in with his accents and comedic timing. I personally found it difficult to connect with the characters - particularly Catherine. Although apparently very beautiful and refined I find it difficult to believe any woman actually operates the way she does, even a century ago. 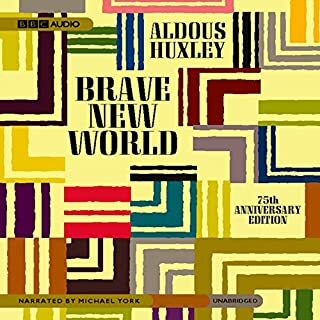 Given the date I thought it would be good to listen to a reading of 'A Farewell to Arms' forty years after I first read it and I am glad I did so. 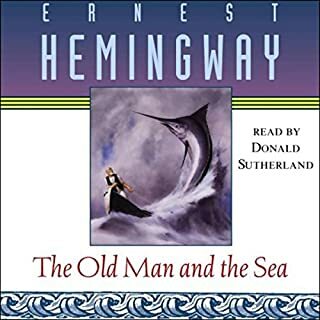 The book has not aged as badly as some might imagine and despite Hemingway's decline in popularity, due no doubt, to our modern aversion to his hunting, fishing and shooting lifestyle, this remains a classic. On a macro level he covers the war well from the perspective of an American 'outsider' in the Italian army. 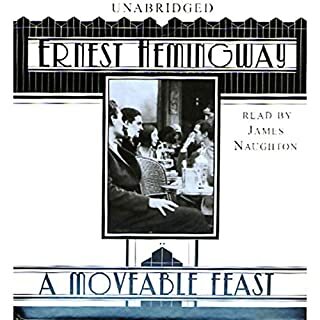 I have always loved Hemingway's descriptions of eating and drinking and Frederic Henry's consumption is enthusiastically described. So is his affection for his Italian comrades. He is also a master at describing the natural world such as the crispness of weather, the slap of water on an oar and the smell of woodsmoke. At the micro level Frederic's relationship with Catherine is covered in intense detail and is surprisingly frank in respect of sexual relations given the time in which it was written. John Slattery does a great job with the narration and, although Catherine was a bit of a stretch, overall I feel he was convincing. 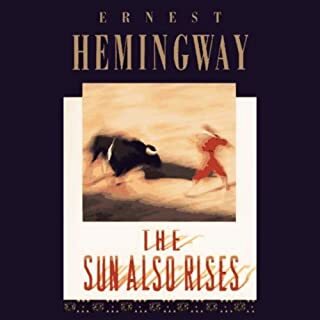 The final part of the novel is utterly heart-breaking and brutal but that was Hemingway. The world kills everyone in the end. Felt dated with uninspired narration. Disappointed and I Struggled to finish, never connected with any of the characters. Fortunately it finished before I could be bothered to return it. Much preferred the Old Man and the Sea and For Whom The Bell Tolls. 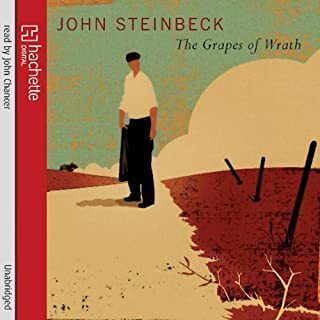 Flat uninspired narration..
fantastic book, gripping and beautifully written. The descriptions of the moonlit countryside passing as they sailed was a highlight. 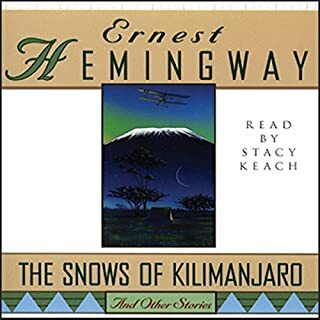 although the female English accent on a man is annoying at times the story and descriptions are Hemmingway at his best.